I think this is a case of seabird and sup it. I must confess to having tried all three of the available beers and, well, each one is as distinctive as the bird portrayed on the label. So far I haven't got a favourite, although my natural preference for the dark inclines me towards the female eider. If you like beers that offer a great upfront opening taste - full of a variety of complementary flavours - but then slyly save the best until last with a rich, surprising and infinitely subtle aftertaste that lingers with the delicacy of a feather on a mirror then these are definitely for you. And the contribution to charity means that you can drink beer and save wildlife - what more could be better than that? From the notebook's new range of beers has everything you could want from a beer - great taste, great quality and the knowledge that you're helping a great cause! 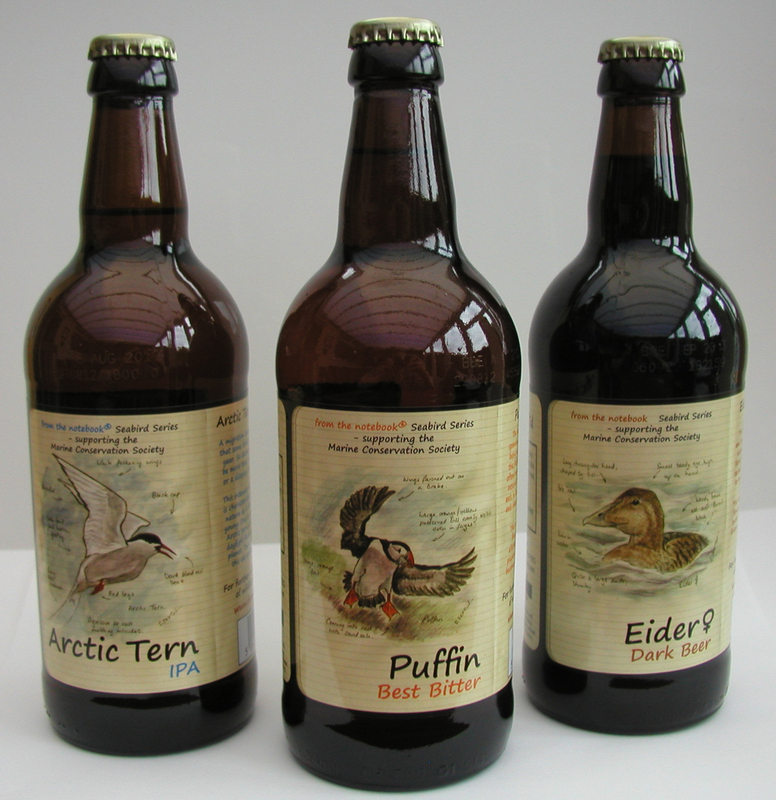 Each of the three beers has it's own distinct flavour and characteristics that befits the bird it's named after and comes complete with a beautiful hand-drawn picture on the bottle which gives each beer a great character. All this makes it hard to choose a favourite though! Congratulations and the best of luck to Graeme with this fantastic venture!